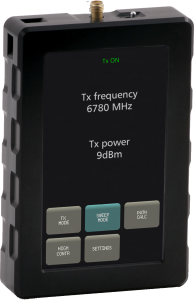 Essential tool for antenna alignment and testing and top choice for LoS verification applications. The Signal Generator is perfect for different microwave system analysis and measurement applications. It has intuitive control and interactive GUI with instant on/off functionality, resistive touchscreen allows working with gloves on.